This is a brass sponge that will help clean your soldering iron tip. Use it to remove residue from your iron tip before soldering. It cleans better than conventional sponges and will not damage your iron tip. Made of low abrasive brass shavings and requires no water. 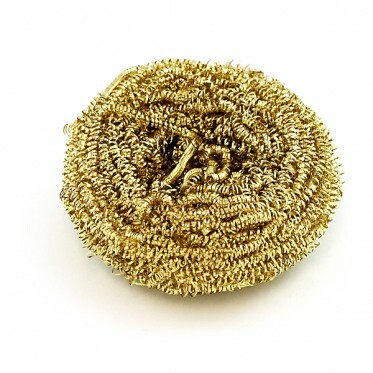 Works well as a replacement brass sponge for the Brass Sponge Base sold below.